Not surprisingly, the pandemic never materialized, but because many pregnant women got two thimerosal-containing vaccines that fall there was documented a serious spike in vaccine-related miscarriages and stillbirths during the following months. The data was documented in the Vaccine Adverse Events Reporting System (VAERS, which typically under-reports adverse events by a factor of 10 – 100) which had been set up in 1986 to theoretically partially compensate vaccine-injured children after Reagan’s National Childhood Vaccine Injury Act vaccine law. For the answer, read this quote from an article that was titled “4,250% Increase in Fetal Deaths Reported to VAERS After Flu Shot Given to Pregnant Women” (https://vactruth.com/2012/11/23/flu-shot-spikes-fetal-death/). “Advice from a healthcare provider plays an important role in a pregnant and postpartum woman’s decision to get vaccinated against seasonal influenza. The American Academy of Family Physicians (AAFP), American Academy of Pediatrics (AAP), American College of Nurse-Midwives (ACNM), American College of Obstetricians and Gynecologists, American Medical Association (AMA), American Nurses Association (ANA), American Pharmacists Association (APhA), Association of Women’s Health, Obstetric and Neonatal Nurses (AWHONN), March of Dimes, and Centers for Disease Control and Prevention (CDC) are asking for your help in urging your pregnant and postpartum patients to get vaccinated against seasonal influenza. Why would a mega-corporate vaccine maker go to the expense of doing thorough safety and efficacy testing when they can’t be sued in the United States if their vaccine turned out to cause injury, death, disability or chronic autoimmune disorders in the recipients? Good question. As readers of mine have noted from previous columns, vaccine makers have been unethically protected by the Reagan-era National Childhood Vaccine Injury Act (NCVIA) of 1986, which absolved them of all medico-legal liability (from past or future damage, even from yet-to-be-invented vaccines!) when children die or are disabled from vaccine injuries. Of course the pre-clinical (animal) and clinical (human) vaccine experiments are not done by the once prestigious (but now corrupted by Big Pharma) FDA and CDC. Rather, the experiments are designed, performed and paid-for by profit-driven pharmaceutical multinational corporations like Merck, Sanofi Pasteur, GlaxoSmithKline (GSK), Medimmune and Novartis, whose predecessor companies (among them Merck, Wyeth, Lederle, Connaught) black-mailed pro-Big Business legislators in the early 1980s to “legally” halt the flurry of legitimate million dollar lawsuits from parents of children who died, nearly died, were neurologically disabled or were otherwise seriously sickened by vaccines! Vaccine skeptics and unbiased vaccine researchers sometimes joke that, as with sausage-making, you wouldn’t want to smell or watch the process of manufacturing vaccines; for if you saw what went into the final product, you wouldn’t willingly allow it to get into your body. Of course, just like most corporations, no unauthorized witnesses are ever allowed inside their manufacturing plants. Corporations insist in keeping secret the nature of the preservatives, adjuvants, contaminants or other toxic substances that actually go into their products. Too much knowledge by consumers, such as reading the product labels, actually paying attention to the small print in the TV advertisements or witnessing the manufacturing processes would be bad for business. Hence, knowledge about the manufacture of Big Pharma’s synthetic substances that are intended to be injected into patient’s bodies is off limits. They call it “protecting trade secrets”. As mentioned above, the pharmaceutical industry is proud to acknowledge that they have 271 new products in their vaccine “pipeline”. These vaccines will likely also have no stringent long-term safety or efficacy data on them, especially concerning the brains of infants, the brains of pregnant women or the brains of demented older people. For one think, such studies would be unethical. But the CDC, AAP, AAFP, AMA and the television ads will still be recommending them for us any time now. I think that it would be irresponsible for us “consumers” – not to mention us “providers” of vaccines (ie, physicians and clinics) – to continue to be unaware of or unconcerned about their dangers, especially since there is so much proposed legislation in the legislative “pipeline” (at both state and federal levels) that will soon be forcing patients to be vaccinated against their wills, with or without informed consent. Big Pharma never seem to stop doing the aggressive lobbying that is geared to influence lawmakers in state and federal legislative bodies to pass legislation that insures their profitability. Vaccine makers never seem to stop “investing” in politicians with lucrative campaign “contributions” every 2, 4 or 6 years. Big Pharma’s obvious intent is no different from all the other mega-corporations, especially since the campaign and corrupt Super-PAC floodgates were opened with the 2011 Citizen’s United ruling led by Antonin Scalia and his pro-corporate/conservative 5-4 majority in the US Supreme Court. Corporations of all types do everything they can to enhance “shareholder value”, increase future stock prices and increase bonuses for their executives. In the case of the vaccine makers, they try to get legislators to pass laws that will make it unlawful to refuse forced vaccinations that are mandated by the government. Big profits can be assured if the corporate paymasters of bought-and-paid-for congresspersons will pass laws that force their constituents to purchase or otherwise use their products. The possibility of forced vaccination programs in the case of potential pandemics that threaten the national security has already been made legal by the 2001 Patriot Act (that also makes it easy for the president to declare martial law) when the Cheney/Bush/Rice/Ashcroft/ Rumsfeld/Wolfowitz/Rove/PNAC administration panicked the US Congress into voting for the pre-written legislation soon after 9/11/01. Dennis Kucinich was the only legislator that actually read the Patriot Act (which is why he was one of the few who voted against it). By voting for that disastrous bill, every paranoid pro-war congress person voted for the evisceration of the US Constitution. Partly because vaccines are so profitable and partly because vaccine makers and marketers don’t have to worry about being sued for the inevitable damages, the vaccine industry can’t resist the temptation to push for mandatory vaccinations. Before that happens, people need to inform themselves (and their legislators) and raise the consciousness of their friends so they will not be coerced by healthcare organizations who have serious conflicts of interest and who may have already lied to them. I end this article with some excerpts from some other vaccine skeptics, information that should give pause to those who used to think that Big Pharma’s vaccine should be trusted. “Mercury and lead are extremely neurotoxic and cytotoxic, but their combined synergistic effect is much worse. A dose of mercury sufficient to kill 1% of tested rats, when combined with a dose of lead sufficient to kill less than 1% of rats, resulted in killing 100% of rats tested….Studies in Australia have confirmed that similar relationships hold for people. This means most people in the U.S. are getting dangerous levels of these metals, enough to cause some neurologic effects. “The same is true for synergistic effect with other toxic metals like arsenic, and with other toxic chemicals like PCBs. The level of mercury (thimerosal) in vaccines has been shown to be highly neurotoxic, but the effect was found to be much larger due to the synergistic effects with aluminum, which is also in most vaccines. 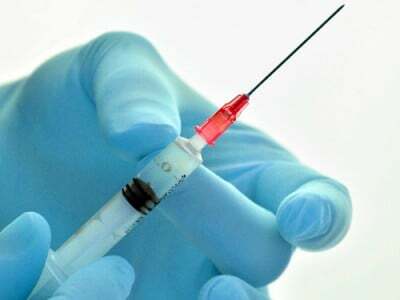 Studies using U.S. CDC data have found thimerosal from vaccines to be major factors in autism and ADHD, along with prenatal Rhogam shots which contain high levels of mercury and are given to some RH negative women during pregnancy. “A small dose of mercury that kills 1 in 100 rats and a dose of aluminum that will kill 1 in 100 rats, when combined, have a striking effect: 100% of the rats die. “Doses of mercury that have a 1% mortality rate will have a 100% mortality rate if some aluminum is there. are dental amalgams and vaccinations. The Federal government’s Centers for Disease Control and Prevention (CDC) and the Food and Drug Administration (FDA), for reasons not explained, have chosen to ignore this fact. These agencies and the National Institutes of Health (NIH) focus exclusively on mercury in seafood, to the extent that the NIH will not fund studies that address mercury in amalgams and vaccines. “In lockstep with the government, the American Dental Association (ADA) claims that amalgams are safe, and the mercury in them poses no problem. The (government-funded) Institute of Medicine (IOM) and various specialty societies, notably the American Academy of Pediatrics (AAP), American Academy of Family Physicians (AAFP), and the American Medical Association (AMA), say the same thing about mercury in vaccines. “Dr. Boyd Haley illustrates the synergistic toxicity of three ingredients commonly found in vaccines — thimerosal, aluminum hydroxide (AlOH3), and neomycin. • By themselves, neomycin and aluminum hydroxide are less cytotoxic than thimerosal. • 6 hours after combining thimerosal, neomycin, and aluminum hydroxide, the same number of cells died, and after 24 hours 100% of the cells were dead. Dr Kohls practiced holistic mental health care for the last decade of his family practice career. He now writes a weekly column for the Reader Weekly, an alternative newsweekly published in Duluth, Minnesota, USA. The last four years of Dr Kohls’ Duty to Warn columns are archived at http://duluthreader.com/articles/categories/200_Duty_to_Warn.